Are you a star caster? 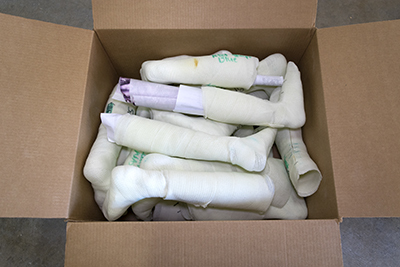 We see a lot of casts here at Cascade Dafo, and not all of them are created equal. Since a good cast is the foundation of a great brace—and a successful outcome for the patient—we’re on a mission to promote awesome casting! 1. Do you cast your patients in their best position of function? 2. Do your casts have a smooth, even wrap with little distortion? 3. Are the foot and ankle contours well defined? 4. 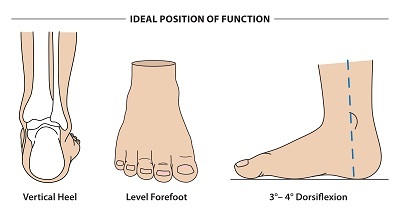 Are the ankle, hindfoot, and forefoot alignment at or close to the desired alignment of the finished brace? Read our 2-page Casting for DAFOs Guidelines. Watch our 5-minute Casting for DAFOs how-to video. Take our free 1-hour online Casting & Scanning for DAFOs course (bonus: earn CE credits from ABC!). This small investment in time will really pay off when you receive DAFOs that fit your patients right out of the box. We’ll be recognizing our star casters in the coming weeks, so keep an eye out on Instagram and LinkedIn to see if one of your casts is featured.